… his well-coiffed sidekick has a few aliases, Opuntia subulata mostrose minor, to be exact. Part of a much bigger crested family (see post here), he recently broke away from them while I was moving things around in the garden. Lefty’s mean-green fluted container is original, while Ol’ Opuntia’s craggy perch is a recent ebay acquisition I couldn’t refuse. Both will serve good long sentences in these perfectly complementary vintage holding tanks. i love it all. the containers are rad! 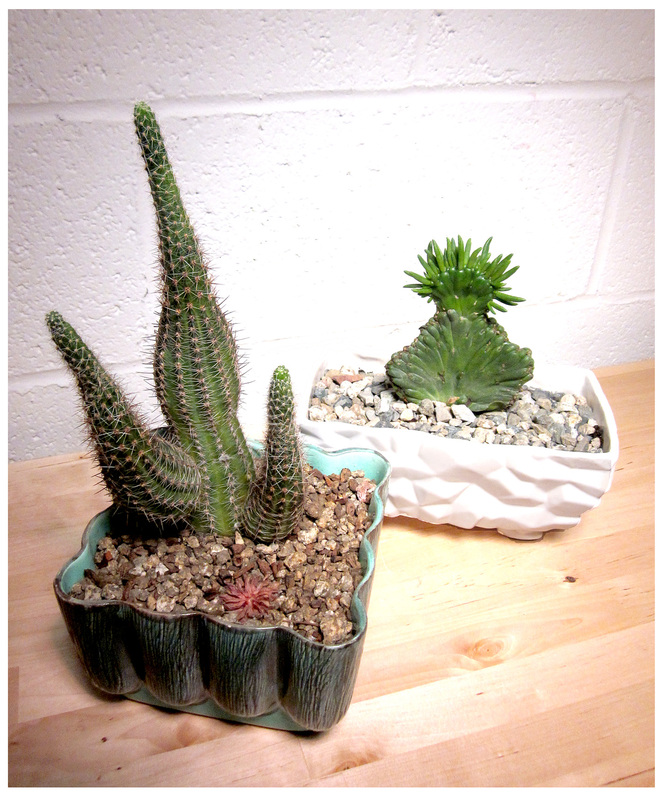 and i checked out your previous post re these cacti and containers. geez!!! 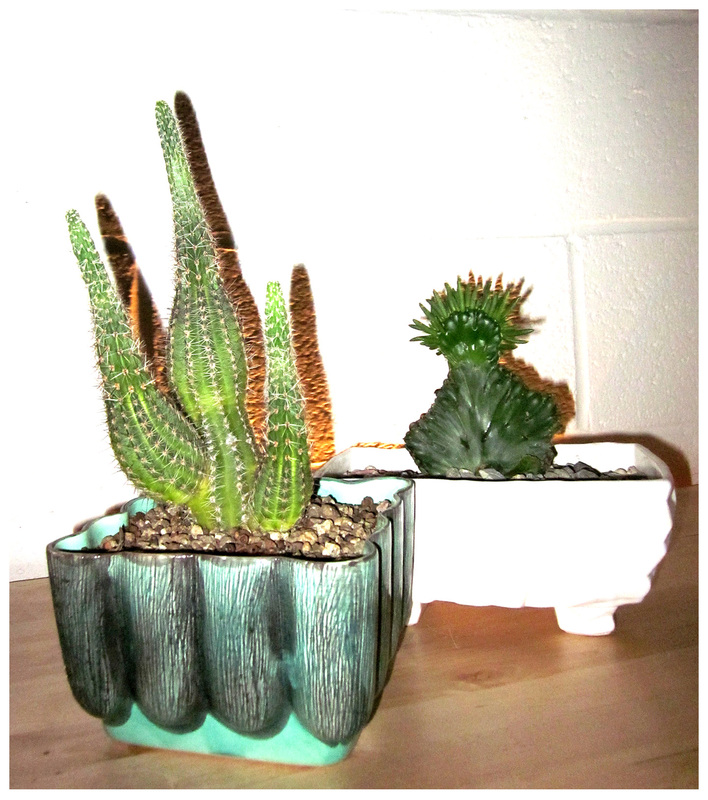 the chunky, funky pots, the crazy cactus creatures and the so cool concrete arrangement/planter/stands. not to gush, but GUSH!!! Gee, thanks… and I didn’t even have to go anywhere to get them, either: Bonnie lives just a few doors down from the Rancho! I love it when cacti surprise me, and grow one way, when I was expecting another. They’re beautiful! Let us know if Bonnie Reynolds holds another sale– it sounds like a lot of fun!